Amino acids are the building blocks of protein. Amino acids are classified as “essential” or “non-essential”. Essential amino acids (histidine, isoleucine, leucine, lysine, methionine, phenylalanine, threonine, tryptophan and valine) cannot be manufactured by the body and must be supplied in the diet or ill health results. The non-essential amino acids are also essential for health but can be synthesised in the body from the essential amino acids. Both the essential and non-essential amino acids are reassembled as hormones, enzymes, neurotransmitters (chemical messengers), antibodies and nutrient carriers. Arginine, ornithine, cysteine, cystine, taurine and tyrosine are classified as non-essential amino acids but may be essential for individuals with certain diseases or nutritional concerns. An amino acid, functions in the body as an inhibitory neurotransmitter. Its natural release in the body can help lead to relaxation. 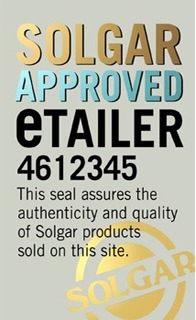 Solgar supplies several different Amino acids supplement products such as Solgar Formula VM-75 30 Tablets. Solgar Arginine Ornithine Vegicaps 50 Capsules, Solgar Branch Chain Amino Acids (BCAA) Plus Vegicaps 50 Capsules and Solgar Carnitine Complex 60 Tablets.